Every time 'Lil SS or RJ come to visit, we try to find fun, different things to do, because bored teenagers can be irritating and annoying. And get into trouble. 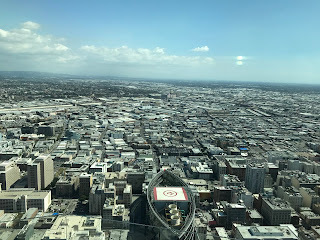 A few weeks ago, when ‘Lil SS was here for Spring Break, we took a drive to Downtown LA. We had been told about this slide on the side of a building, so naturally, we had to check it out. 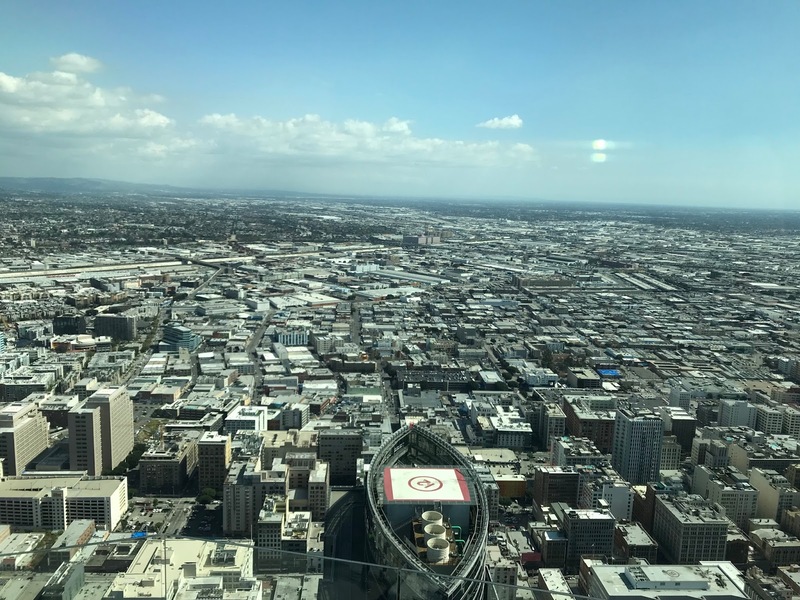 From atop the US Bank building in Downtown LA. You had to buy the tickets downstairs before you even went up into the elevator, so you didn’t get to see the actual slide ahead of time. Because I’m the scared, reluctant one in the family when it comes to heights, I opted to not ride the slide. However, once we were up there, I think it might have been cool to experience it. Just to say I’ve done it. Oh well. Here's a video of SS and 'Lil SS riding it. I have to be honest, the view is really why you go up there. It was 70 floors up (1,000 feet). I haven't had the opportunity to go up that high into a building, so this was awesome. The Empire State building's observation deck is on the 86th floor! Can you imagine? ?